Fresh Hedgehog mushrooms, wild foraged seasonally in the USA and Europe. 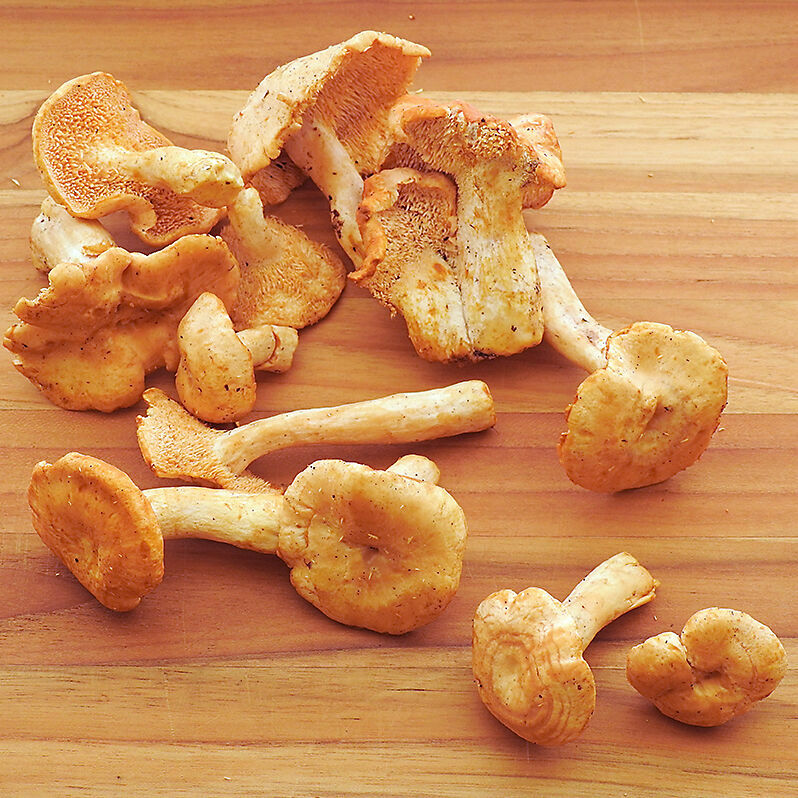 With a mild and slightly nutty, butterscotch flavor and a firm texture, the hedgehog mushroom is a favorite among our chef clients. This versatile mushroom works well with meat and fish recipes, as well as sauces and soups.